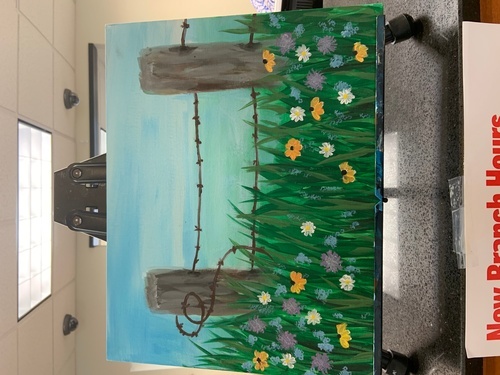 Paint Night @ Essex by Free Your Mind Designs. "Country Meadow" is the title of the artwork. Space is limited. Tickets must be purchased in advance! Contact Kelly Rommel Morris on Facebook at Free Your Mind Designs.